Dr. Matt Levy ’00, emergency health services, and ’08 M.S., emergency health services, was recently honored for his work in responding to the Columbia Mall shooting in January 2014. Dr. Levy received the Silver Medal of Valor from Howard County Fire and Rescue Services for his role as the second tactical medic to arrive on scene that day, and then transitioned to being the on-scene medical director. The award was given for entering a dangerous environment that had the potential for a continued direct threat in the immediate aftermath of a shooting. Levy supported the SWAT team’s mission to identify and assess for additional threats on scene and was ready to initiate treatment as part of the medic embedded with the tactical team. As additional resources arrived, Dr. Levy transitioned his role to being the on-scene medical director for the duration of the emergency response. The award was given during a ceremony Wednesday, October 14 in Clarksville. In addition to being an alumnus, Dr. Levy is currently the medical director of UMBC’s emergency health services department. 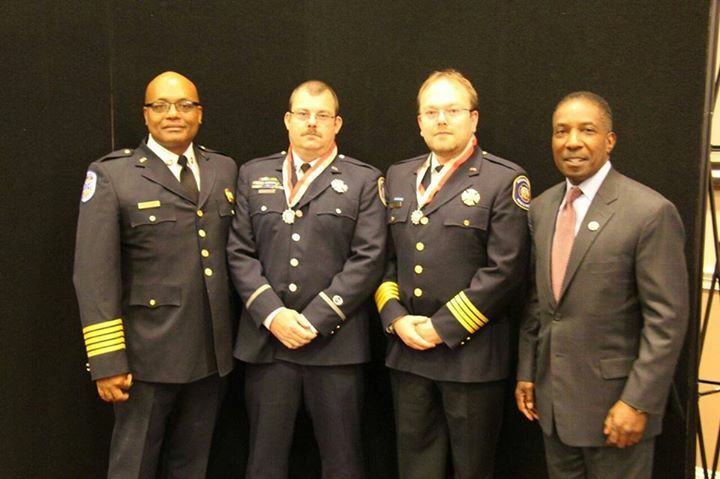 Read more about the Howard County Fire and Rescue Services awards in the Baltimore Sun.